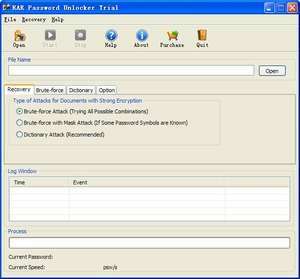 RAR Password Unlocker is an elf RAR password recovery tool for you to recover the RAR password and open the files in the archive. Moreover, it supports all versions of RAR archives. Solely for RAR password recovery makes it the most powerful in functions and ever easiest to use. For security reasons, you should also check out the RAR Password Unlocker download at LO4D.com which includes virus and malware tests. Additional screenshots of this application download may be available, too. RAR Password Unlocker has a presence on social networks.